You have your mail hub, your video/audio chat solution, and your text chat service set up. 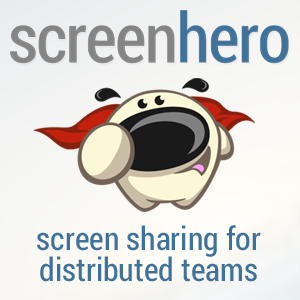 What other communications tools does your distributed team need? To augment Campfire or IRC, I recommend setting up a team status/presence tool. The two most popular tools occupying this space are Presently and Yammer. With the exception of some downtime issues, I’ve had good luck with Present.ly in several organizations. In a nutshell, these apps are like Twitter for private groups.They enable team members to post short messages about their status, what they are thinking about, or problems they are experiencing. You may be wondering: is such an app really necessary when you already have a chat application? Don’t they overlap? It’s true, either a chat room or a presence app can be used to simulate the other. But ideally, they handle two very different forms of communication. A Campfire message, with its audible “ding” and (if you are on a Mac and use Propane) pop-up bubble, says “pay attention, someone on the team needs a reply”. Campfire is an interruptive medium. A “presence” message, on the other hand, is lower priority. Just like Twitter, you can check Present.ly or Yammer occasionally, without worrying about missing an important message. A Present.ly message says “here is my status, for what it’s worth”. It is a non-interruptve medium. “Presence”-style messaging greatly enhances a team’s sense of virtual togetherness, because it can give you a feeling of having other people working on things around you. Of course, the effect only works if everyone uses the app regularly. The ability to update your status via a phone text message. This is invaluable when you are called away from the computer suddenly for a family emergency; or your cable modem goes up in flames and you are left without ‘net access. At times like these, a text message may be the only medium you have available to you yo communicate your status to the team, short of calling them individually. Customizable notifications. Both Present.ly and Yammer offer the ability to have some or all messages forwarded to your email, IM account, or SMS number. External feed integration. It is possible to have most external tool feeds directed into Campfire. For instance, you can set up GitHub to update Campfire whenever someone commits code to the project. But as I said earlier, Campfire is an interruptive medium, and most teams don’t care to be interrupted by “FYI”-type updates such as source code commits. A presence app is a good place to capture all the lower-priority feeds that capture the “pulse” of a project but don’t require immediate action. Twitter integration. Are your team members already avid tweeters? Presently is able to integrate users’ tweets, as well as publishing selected updates to the wider Twitter world. These features are useful for eliminating repetition: “Heading out to the Brown Bean Cafe, anyone want to join me” might be of interest both to your team and your twitter followers. In my experience, a virtual presence app is one of those tools that you may not feel a need for. But once your team gets into the habit of using it, you find that it gives you a heightened sense of group effort you might not have realized was possible in a distributed team. Teams that I have worked with have found that the tool quickly became a central part of their daily routine. What about you – have you had any experience, positive or negative, with a virtual presence app like Presently or Yammer? Yes indeed. I’m on a team where 4/6 people are on twitter… we make jokes back and forth, but if it was a private channel we could actually do more than just joke around.